Whenever I make a purchase for my portfolio my intention is to own the company forever. However, every now and then a company will have a material change that warrants a reassessment of that company as an adequate investment. Like everyone else I make mistakes with investing. Just as I'm transparent about the purchases that I make, the sales are probably more valuable in the long run because they give more opportunities to reflect on our decisions and are a chance to learn. I want to be as transparent as possible with my journey to reach financial independence through dividend growth investing. Being open about the moves I make allows for better discussion with all of you and helps spread ideas around as well as letting me create my own "investing journal" to chronicle why I purchased a company in the first place and that way I can revisit if something changes and make the decision on whether to continue owning the company or not. This morning I closed out my position in American Realty Capital Properties (ARCP). I owned 194.16 shares of ARCP at a cost basis of $2,394.51. I sold all shares for $9.16 each with net proceeds of $1,770.52 after commission. Unfortunately this is a 26.1% loss. I've been going back and forth on what to do with my position in ARCP since news of the accounting issues arose late last year. To make matters worse the dividend was then suspended after the December 2014 payment. The accounting issues have been resolved but there's still a huge negative stigma associated with the company. Frankly, I had just gotten tired of waiting around for a dividend to be reinstated since it's not expected until sometime in August with the next quarterly earnings announcement. I don't consider ARCP an untouchable company; however, I also didn't have enough conviction to add shares when they were trading lower than current share prices. It's a different company now than before the accounting scandal and I wouldn't be opposed to adding shares back to my portfolio in the future. They still have a huge amount of properties under their control and should slowly to start make progress toward solidifying the foundation of the company. However, at this time the capital invested in ARCP is better suited for investment in another company since it is not providing any dividends and the future is uncertain. I'll be looking to invest part of the proceeds back into another REIT to generate higher current dividend income. Potential investments include WPC, OHI, VTR, or O. I also wouldn't mind adding some lower yielding but higher growth companies. Since the dividend had been suspended by ARCP this sale did not decrease my forward 12-month dividends. My forward 12-month dividends are up to $5,687.10. Total taxable accounts', Loyal3 and FI Portfolio, forward dividends are at $5,743.08. Good to get rid of problem companies, JC. I think you made the right move - even if the dividend gets reinitiated again, how can you trust the management when they have lied to the shareholders in the past?! That capital is better invested elsewhere in other better run companies. Im so GLAD YOU SOLD. I was waiting to see what you did i sold the day after they cut dividends but have been doubting my decision until seeing that you have decided to sell as well. I had O on my watchlist and have watched it drop from $54 to $47 i think this is a good entry point especially since they have been added to the S&P 500!! plus if you look at their dividend history they increase it almost every 2 years for the past 20 years! :) Good luck i wish you all the best and thank you for all your hard work through these trying times My family is praying for yours. Cutting losers loose is emotionally very difficult but logically the right thing to do. I think you will be more than happy with the decision five years from now. Hey JC. You know what to do. It's your portfolio. Too bad you took a 26.1 loss but you'll make it up with the recent pullback from REITs and dividends. I'll probably have a hard time trusting management as well. In business, if you can't trust your partner/ ownership in stocks, Get rid of it. No big deal bud, it could be much worst. We live to fight another day. Keep hustling hard and I wish your family the best. Keep your head up bud. Cheers. I struggled with the same question on ARCP at the end of the year and I decided to just drop it an take the loss. If a company cuts their dividend then I sell. Take a look at UNP, DEO, AAPL and DLR which are some of my recent purchases as well. Good luck! 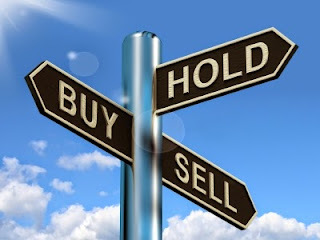 Before selling or buying shares the status of stock market must be analyzed properly to be at the safer side. 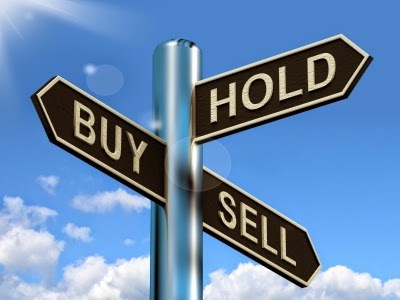 This is the correct decision that you sell out the shares at the right time.